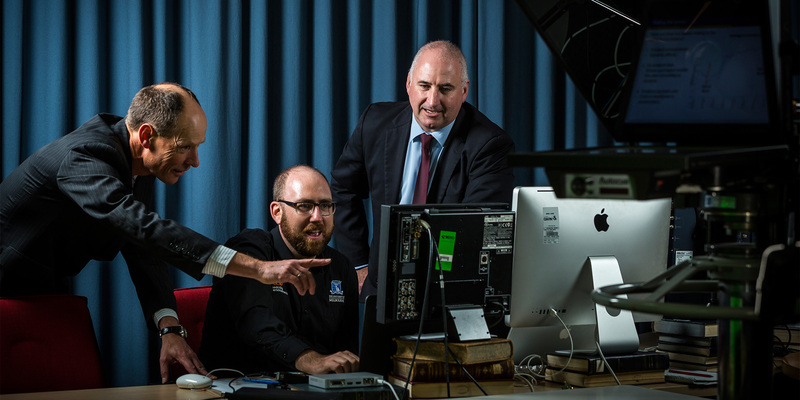 The University of Melbourne’s new online corporate finance specialisation overcomes geographical, social and economic barriers to make quality business school education available to everyone. Massive open online courses, or MOOCs as they are commonly known, have opened up the world of education. 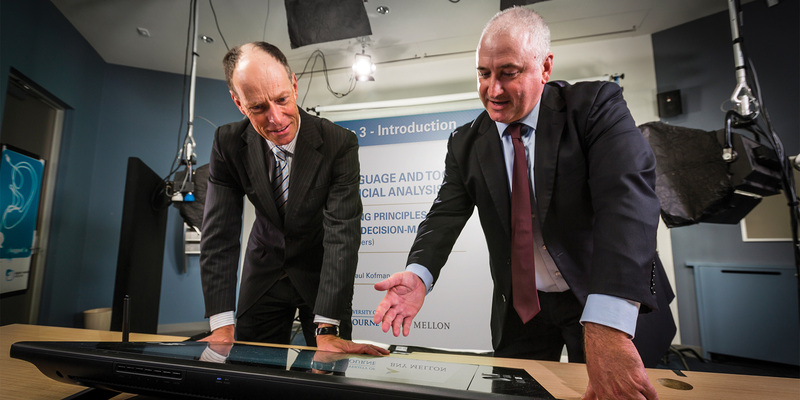 A new online corporate finance specialisation, launched bythe University of Melbourne in partnership with BNY Mellon, offers five publicly available finance courses to learners worldwide via Coursera. The Essentials of Corporate Finance Specialisation came into being in December 2014 following a tender process by BNY Mellon to find an academic partner who would deliver a set of courses to advance financial knowledge and decision making. Competing with submissions from leading international business schools, the University of Melbourne was chosen to develop the unique program and the first student enrolled on 1 June 2015. The suite of courses was designed by Professor Paul Kofman, Dean of the Faculty of Business and Economics, and Associate Professor Sean Pinder. Overcoming geographical, social and economic barriers to education, the program makes quality business school education available to everyone. BNY Mellon’s 50,000 employees have access to specialisation through BNY Mellon University, which offers leadership, management and professional development courses, as well as risk and compliance training, for its globally distributed workforce. BNY Mellon contributed on key topics throughout the program, highlighting the links between the theory and empirical evidence presented in the modules and their own experience in markets. Foundations of Financial Analysis: Establishment of a toolkit of business knowledge, including business language and the fundamentals of accounting and financial analysis. Global Capital Markets: Exposing students to the context in which decisions are made, as well as how key markets operate and who the players are within these global markets. Corporate Financial Decision Making: Considering how successful corporations make financial decisions and how these decisions impact upon firm value. Alternative Approaches to Valuation: Looking at complex valuation and investment techniques used by investors worldwide. Capstone Experience: Designed to pull together all aspects of the course through business simulation tasks where the student plays the role of an investment analyst located in Shanghai logging into a series of simulated web conferences with a colleague in Sydney and their manager in New York. Professor Kofman and Associate Professor Pinder ‘buddied up’ throughout the production phase – each attending the filming for the others’ lectures in order to pick up and correct any imprecisions on the spot. They quickly realised that a two-hour lecture would take only about 45 minutes to film uninterrupted and learned to adapt their delivery for the virtual audience. Professor Kofman says online learning is a unique experience, and it doesn’t replace the physical classroom. “In a classroom environment you can read the room – if students are bored, they might need the motivation for the material highlighted again; perplexed, they may require additional exposition and explanation; or satisfied and needing to be asked a question to reinforce the concept,” he says. Neither are MOOCs necessarily used as a pathway to further education, although in some situations this can turn out to be the case. For many students they provide a time and cost-ecient way to develop skills that can be quickly applied in the business context. Paul Kofman is Dean and Sidney Myer Chair of Commerce at the Faculty of Business and Economics, the University of Melbourne. Professor Kofman graduated from Erasmus University Rotterdam, the Netherlands, with a PhD in Economics. Sean Pinder is an Associate Professor at the Faculty of Business and Economics, the University of Melbourne. Sean has been honoured with the Edward Brown Award for Teaching Excellence by the University of Melbourne.